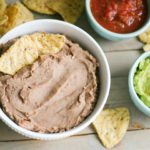 Instant Pot Refried Beans - Jenuine Home - Interior design, decor, diy for your home and Instant Pot Creations for your tummy. Refried beans are one of those things that I just NEVER made from scratch before the Instant Pot came along. Okay, I made refried beans in my crockpot about 2-3 times in my lifetime but I always had to plan ahead to soak the beans and then cook them. Which I always forgot to do, thus we made do with canned beans for many years. 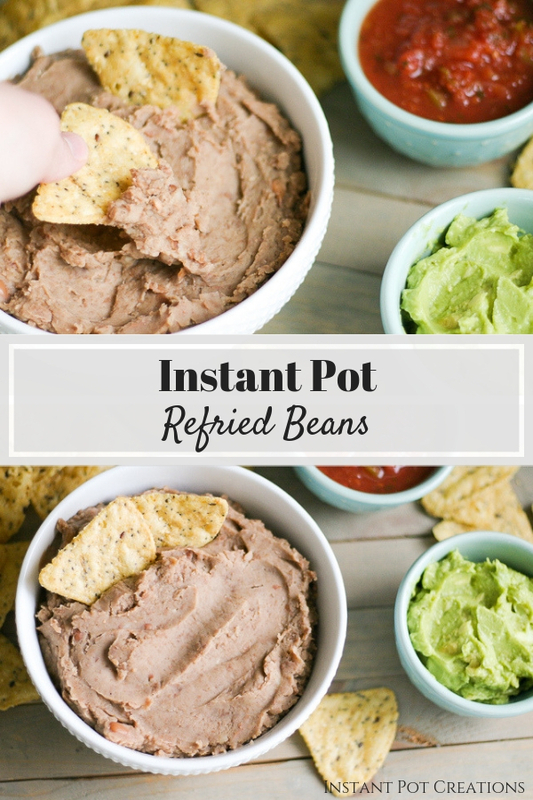 With my Instant Pot, now I don’t have to presoak the beans and they taste just as amazing without the extra step! Plus, they cook in a fraction of the time compared to the slow cooker. Now that beans are so easy to make and taste delicious, I just can’t ever go back to the canned stuff! See?! SO simple and easy with ingredients you probably already have waiting in your pantry right now. Bean burritos. I mean, such a simple and easy lunch or dinner. Serve beans on the side with some Mexican rice to accompany your favorite meal. 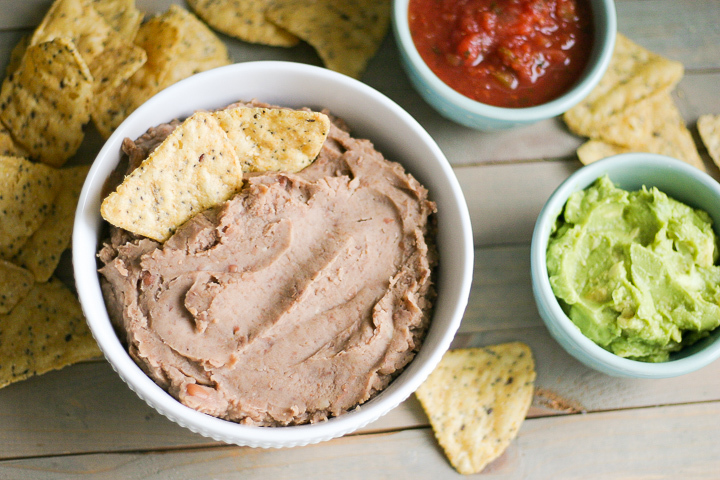 Create a delicious layered bean dip with avocado, salsa and sour cream. Straight out of the bowl with some tortilla chips, which is how my hangry kids often devour them. Taco salad tastes amazing with the addition of these Instant Pot refried beans. Nachos with all the toppings. 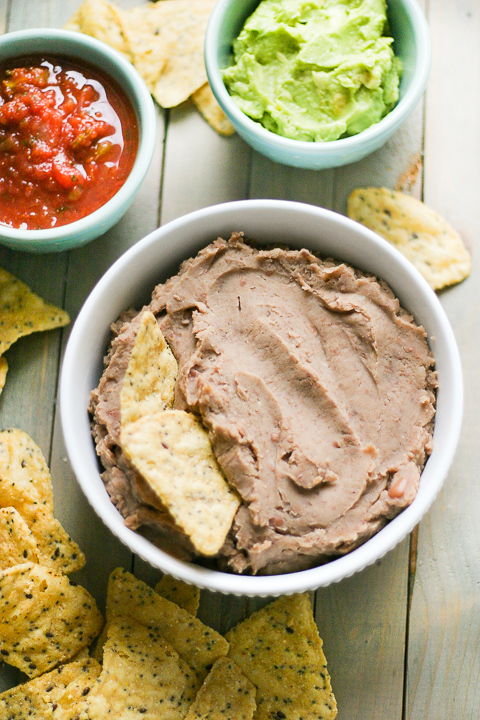 These refried beans also make the perfect potluck dish, party appetizer, work party side dish and after school snack. They also freeze well, in case you have leftovers and can’t eat them all in 1-2 days. That never happens around here though. These beans are gone in that amount of time! Are you craving tacos yet? Did someone say chips, beans, guac and salsa? 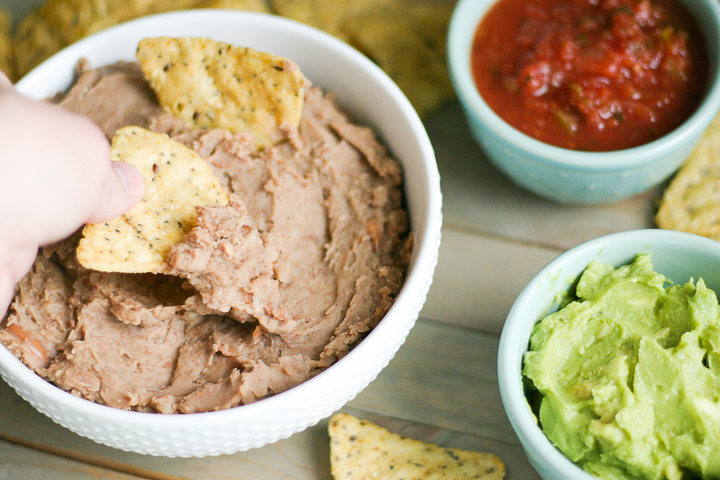 These refried beans are delicious and easy to make with no pre-soaking needed! Perfect potluck dish, party appetizer, work party side dish and after school snack. They also freeze well! Open lid. Pour beans into a strainer over a large bowl to drain beans and collect the bean liquid below. Reserve liquid from the beans in bowl. Add beans back into pot liner. Using a hand held immersion blender (or a potato masher or back of spatula), mash the beans until desired smooth consistency. Add reserved bean liquid back into the beans as needed during the mashing process until desired thickness. I usually add about 1-2 cups. Keep in mind that the beans will continue to dry out and thicken up as they rest, so extra liquid may be needed. Add salt and stir. Serve with chips or with your favorite Mexican meal! Also freezes great.